Certainly one of the greatest albums by this excellent (and oft-overlooked!) group from the 70s! 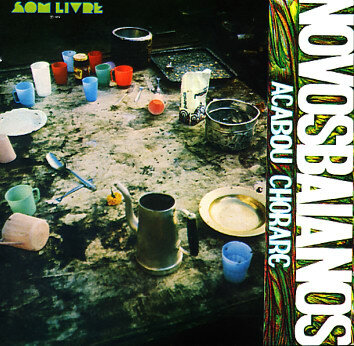 The band of young Bahians deliver a great mix of tracks tinged with bits of rock, funky samba, and even a few psychedelic influences – with alternating male and female vocals, and some excellent songwriting that places the record right up there with some of the best work by Caetano Veloso and Gilberto Gil from the same time. We love this one to death, and find it to be one of the few records by the group that we return to again and again. Tracks include "Preta Pretinha", "Besta E Tu", "A Menina Danca", "Swing De Campo Grande", and "Tinindo Trincando". © 1996-2019, Dusty Groove, Inc.